This is such a common concern with a lot of people when they first start going to the gym. “I feel like everyone is looking at me!” “What if I am doing an exercise wrong and people make fun of me?” “I have no idea what to do, and all of the equipment is too confusing!” I hear these things ALL the time! This is also one of the reasons we offer our free personal training consultation. To help you feel more comfortable getting started. Lets start with what I would consider one of the most important things to remember when you go to the gym, not everyone is looking at you like you might think. I PROMISE, not everyone is looking at you like you think. No one knows that it’s your first, or first few, times in the gym. They don’t know who you are, what your story is, or what you’re doing there. To be honest, they don’t care because they are focused on THEIR workout. Everyone is here to workout just like you and to be honest, are focused on themselves. Second, something that ties in with the 1st reason, you DESERVE to be there. A lot of people get this idea, especially females, that just because they might not know exactly how to do everything, they don’t deserve to be there. Now let me just say this, if you are in the gym working to better yourself in some way, you deserve to be there. Beginner or veteran, it does not matter. Your workout is just as important as anyone else’s. Remember, you are allowed to take up space. And last but not least, go in with a plan! 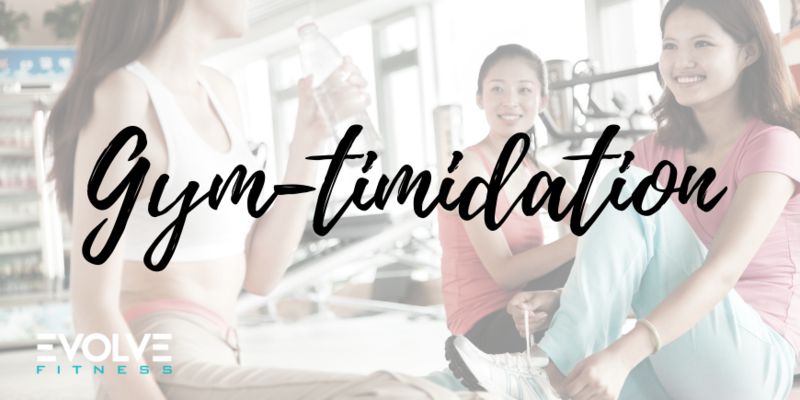 Going in with an intention or plan when walking into the gym can MAJORLY effect your confidence levels. Even if your intention is to take one of our classes, do some cardio, or maybe hit the weights – knowing what and how you’re going to do something matters. If you feel like you need help getting started and pointed in the right direction, ask one of the personal trainers. We would love to help you, that is what we are here for!